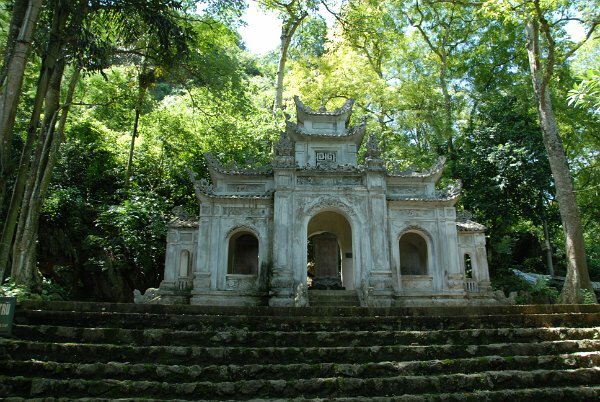 The Perfume Pagoda or Perfume Temple (Vietnamese: Chùa Hương) is a vast complex of Buddhist temples and shrines built into the limestone Huong Tich mountains. It is the site of a religious festival which draws large numbers of pilgrims from across Vietnam. The centre of the Perfume Temple lies in Huong Son Commune, My Duc District, former Ha Tay Province (now Hanoi). The centre of this complex is the Perfume Temple, also known as Chua Trong (Inner Temple), located in Huong Tich Cave.